Ochoa Salazar, who leaves behind a wife and 3 children, was the acting Secretary of Disputes and a key organizer with the union. He spent years working in BREMEN Meats’ meat processing plants, a company owned by Guatemalan businessman and former Minister of Health during the administration of Otto Pérez Molina, Francisco Arrendondo. In 2016, he and other workers began the work to form a union within the plant. According to Wishart, another factor in the decline of unions has been the privatization of key state services, such as telecommunications, that followed the neoliberal structural changes following the end of Guatemala’s 36-year internal armed conflict. Furthermore, the maquila industry has only four unions representing workers, underscoring how the industry’s the anti-union tactics have been successful in quashing workplace democracy. As a result of the failure to comply with the trade agreement the United States filed a lawsuit against Guatemala in 2010 over the dismal state of labor conditions in the country. Three years later, Guatemala and the US came to an agreement to resolve the labor dispute by protecting workers rights to assemble, combat child labor, and to ensure overtime. 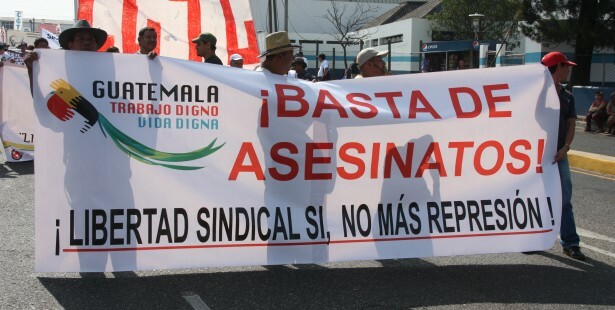 But the Guatemalan government failed to implement the plan, and faced the potential of paying $15 million per year for their failure to comply with the labor provisions in CAFTA.